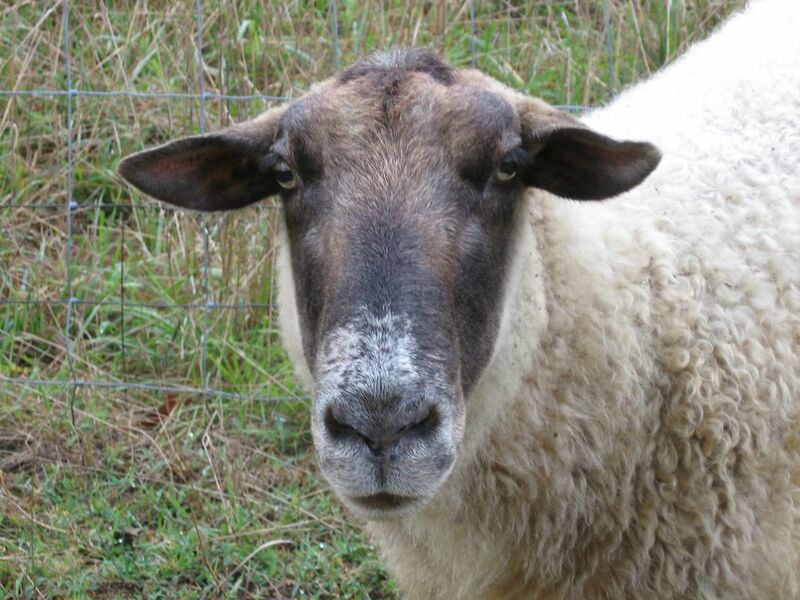 If you haven't met this handsome 10-year-old before, click here to read his story--and to learn the proper way to hug a sheep. By the way, after all these years Big Chip still demands a hug every time he sees me. And who's going to say no to that face? This is one sweet fellow, but he's serious when it comes to getting hugged. AWWW!! I think it's wonderful that he still needs his hug. And what a great face! I would hug him anytime. Awesome to see Big Chip. What a handsome boy. I love the white on his face is that from being older or has he always had it? The Chippers have a charmed life. I have a black lab who will hug in the same fashion. But see always is the one that starts the hug and so I am often thrown onto the ground. Once she came up behind me and hugged me at the back of my knees. Yes, I fell over her backwards head first. I'll hug him. Send 'em on over!! What is considered "old" for a sheep? Hi Big Chip! I'd give you a hug any time!